Irene Song started as an intern of social welfare at Gangnam-Gu office. 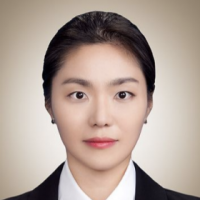 Then, she worked at Dongguk University as an assistant to Business start-ups at the foundation support center. Following this, she was the assistant to national institute at Innopolis Foundation. Irene then joined the Korea Business Angels Association. Today she works for Binaree, she project manages, funding a governmental dignitary.